If your patio has failed to live up to your expectations, you may simply be missing a necessary surge of inspiration. Many contractors who perform patio installation in Alpharetta, GA, can also offer design advice and ideas to homeowners throughout the process. 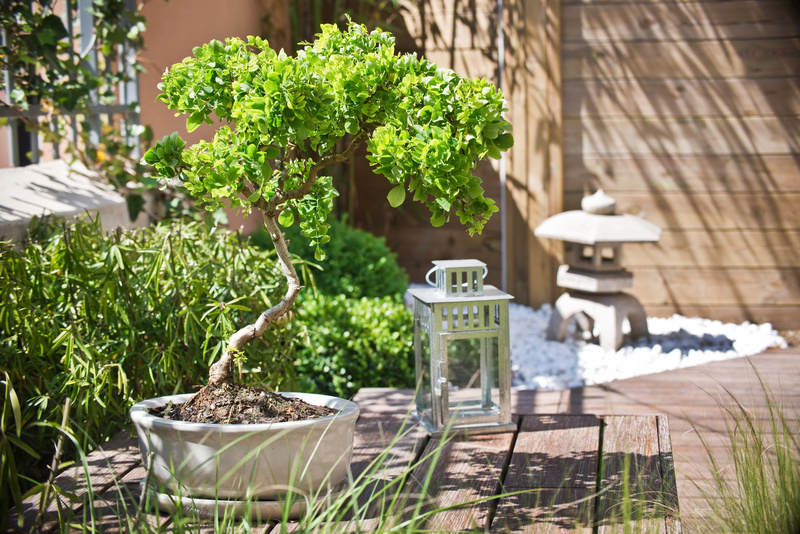 So whether your patio is plain, unused, or simply unappealing, consider some of the 8 following patio ideas to kick-start your new patio design in Alpharetta, GA.
Japanese-inspired and very calming, a Zen patio is achieved with a neutral stone floor, bamboo, outdoor lanterns, wooden furniture, and half-walls to enclose the space. Balance right angles with curved decor for optimal feng shui. The perfect blend of rustic and delicate, this Old World style is achieved with a vine-covered pergola—preferably with overhanging vegetation—colorful floral surroundings, and a long wooden dining table. A brick paver patio in Alpharetta is the perfect set for your table setting. Richly detailed stone pavers in Alpharetta also make for a relaxing and soothing environment. 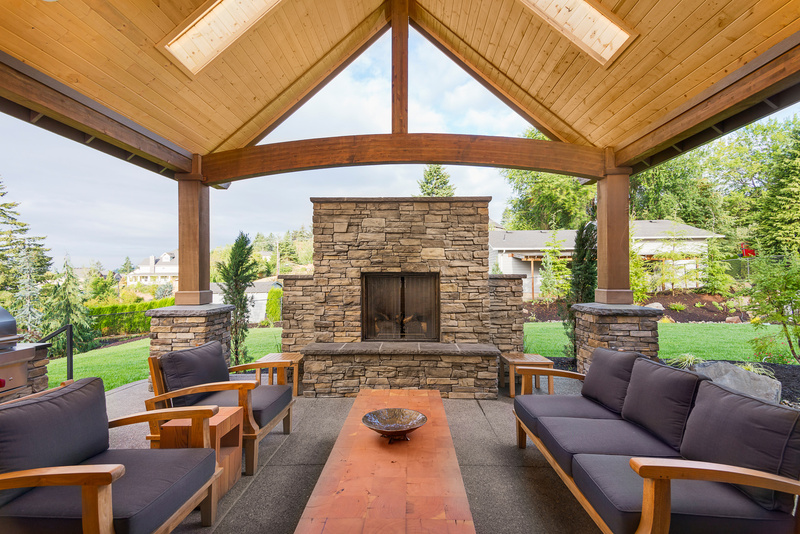 Build an outdoor retreat with large lounge furniture, a stone fireplace, a low patio covering, and plenty of homey decor. Be sure to install ceiling fans for a year-round relaxing environment. If your home and swimming pool have the architectural integrity to stand on their own, why dilute the effect? Keep it minimal with a neutral paver patio, a few seats with geometric designs, and a few functional sun shades—only the essentials. Relax with a movie or the big game outdoors. Cover a finished concrete patio with an outdoor area rug, plush sectional seating, an outdoor bar, and the ultimate entertainment system. Outdoor dining is a must, so include plenty of seating at the bar or pave enough space to include a dining table—just don't block the TV. A Bohemian space balanced with contemporary materials, this design scheme includes repurposed or renovated furniture, metallic seating, unique plants, an artistic centerpiece such as a fire pit, and high-patterned fabrics. Set them on an open slab of finished, polished concrete with a tasteful fabric covering, like a modern sun shade. To achieve this look, you should first find a contractor to build a custom stone hardscape design in Alpharetta. Soften this hardened surface with a wide variety of potted and planted flowers. Add a craft table, a tea table, and an outdoor sofa to create the feel of an open sunroom. Under a ceiling of exposed wooden beams and on ceramic tile, set out comfortable seating in warm, traditional fabrics. Include traditionally Southern details like a bar made of raw hardwood and rustic, oversized furniture. These are just some of the many patio design ideas you can try. Whether your patio needs a facelift, renovation, or just some sprucing up, find a contractor who can inspire and implement an attractive patio design in Alpharetta, GA. Start with a stylish paver patio for the perfect foundation to a splendid outdoor environment.